Pretty Captain Fluffy has been waiting for a home for a few months now, so we hope she’ll find one soon! 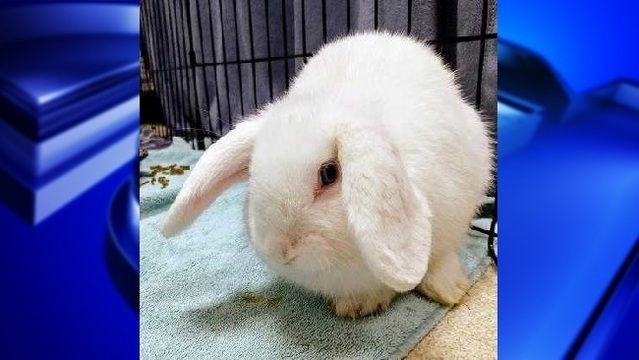 We’re adopting her out with Cocoa Mo, another rabbit in our Springfield Adoption Center. Cocoa Mo is 10 months old and also female. These two girls are best friends, and it will work best if they go home together. Rabbits are fun and surprisingly interactive pets. They love to have some supervised time out of their cages every day to run around and kick their heels up! You can be a Dakin Foster Hero! Please visit https://www.dakinhumane.org/foster-a-dakin-animal.html to register to attend!